atmani svayam vindati = in himself itself shines. In this world nothing is as purifying as spiritual knowledge. Then why is not everyone pursuing this? Lord Krishna explains that first one must become qualified from prolonged practice of karma yoga or prescribed Vedic activities performed without desire for rewards. Then in due course of time if there is no interruption knowledge will arise leading to purity of heart after which atma tattva or soul realisation will be achieved. The reason for this conclusion is being given by Lord Krishna and that is amongst all penance's and austerities and various types of yagnas or offerings of worship there is indeed nothing so purifying that compares with spiritual knowledge. If this is so then why is not everyone striving for the attainment of atma tattva or soul realisation. This will be answered in the next slokam. Spiritual knowledge manifests automatically without effort after continuous practice of karma yoga or the following of prescribed Vedic activities has been perfected and not before will one become qualified. As in this world and all over the material creation there is nothing more purifying and sanctifying then the spiritual knowledge of atma tattva or soul realisation it is the destructive of all sin. Perfecting oneself by the easy practice of karma yoga or the following of prescribed Vedic activities in the manner instructed by the self-realised spiritual master one will naturally attain atma tattva as well in due course of time. Lord Krishna praises the value of spiritual wisdom in this slokam and the next two. 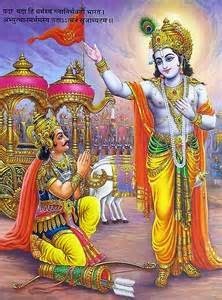 In this process what is the role of the Supreme Lord? Is He simply monitoring every activity from His position as paramatma or the supersoul within all living entities. To the contrary, it is the Supreme Lord who illuminates the consciousness of the living entities over and over again and gives them the opportunity to learn about the ultimate truth.